a high-quality consumer experience – loyal customers are what sustains a business by increasing sales and creating a positive brand reputation. These factors contribute to an impressive bottom-line revenue for a retail organisation. Taking into account the state of modern day technology and the growing popularity of online purchasing, both digital and physical consumer touchpoints must work together flawlessly. Although online sales will have a huge impact on more than half of this $4 trillion market, the customer’s experience in store is equally as important, as many customers will research online as the first step and then visit the store to complete their consumer journey. So what is it that makes a high-quality customer experience? Firstly, knowledgeable employees make a world of difference to consumer satisfaction. Good customer service is directly linked to good product knowledge – research shows that half of customers seek expert advice when they enter a store, as the internet may not always answer their questions. Even more (73%) say product knowledge is what they need most from sales associates. Customers are also more likely to interact with sales associates who are passionate and engaged with their brand and the products they’re selling. This employee confidence will create a more trustworthy persona and, alongside excellent communication skills, will reflect positively on not just the employee but the company as a whole. How can expectations be met? The retail industry is constantly looking for ways to improve the customer’s experience. Creating a customer satisfaction survey is a good way to monitor this, as it sets a benchmark. From the survey results, you can identify problems, set objectives and create a frictionless customer experience from there. Artificial Intelligence is another, more modern route to take. Macy’s has already introduced their in-store shopping assistant, ‘Macy’s On Call’. Customers can ask about products, services and facilities, and the exchange is meant to mimic human interaction. The bot can also send responses to customers’ mobile phones, creating a personalised experience. Although, it’s important to remember that employees are at the root of improving the customer experience, as consumers will always look for interaction and opinions from sales associates. It was found that customers who were offered a helpful suggestion by a sales associate also had a shopping basket 31 percent larger than customers who had not! The best way to maintain quality and performance of retail employees is through continual learning that is reinforced over time. Wranx takes this approach by transforming existing training materials into daily bite-sized drills that are made up of approximately 10 questions. Spaced Repetition is incorporated into this, which is proven to enhance knowledge retention. This preserves the value of the initial training sessions as learners are revisiting learnt information, instead of forgetting up to 90% of it, which is usually the case! Incentives are an additional way to improve performance. 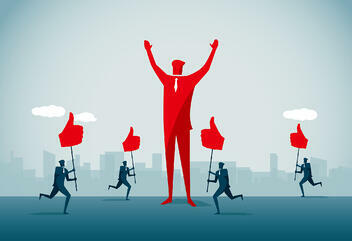 Creating competitions and offering rewards based on performance is a great way to encourage staff to better themselves and it taps into their intrinsic motivation. Friendly competition between colleagues or stores will further encourage employees to develop their own knowledge. Offering an excellent customer experience must start with understanding customer expectations. The customer experience is made up of various components but retailers need to look at the root of what drives their sales: passionate and knowledgeable employees. Although there have been clear advancements in retail technology to increase sales, it’s important to invest in the physical store and employees, looking closely at training opportunities and introducing incentives. Both of these encourage employees to develop their own skills and make them feel valued within the company, as they are rewarded for their efforts. Increasing employee satisfaction will filter through to their performance in store, creating highly satisfied and loyal customers.